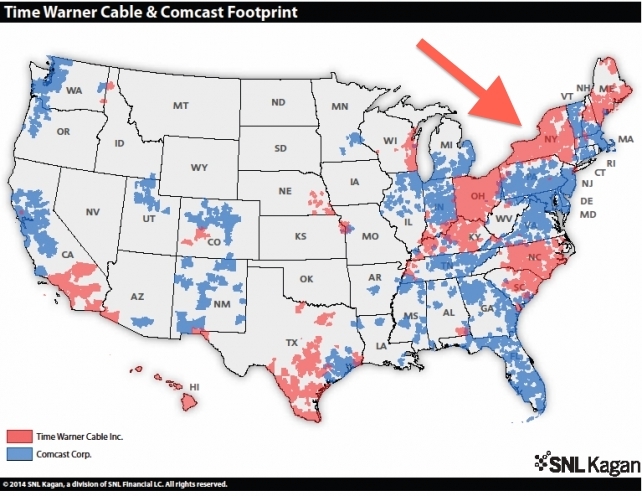 Graphic illustrating the potential consequences of TWC-Comcast merger initiated by media giant Comcast . . . because the bigger and more monopolistic the better!